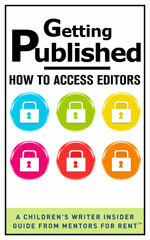 I’m really excited about today’s Will Write for Cookies guest because she is not only a multi-published author, but also a great resource for those of us who want to get our foot in the publishing house door and for parents and teachers as well. According to Laura, she is terrible at small talk, great at reading, and pretty good at word games. 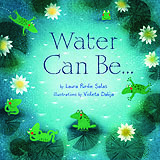 She is also the author of more than 120 books for kids and teens, including WATER CAN BE…, A LEAF CAN BE… (Bank Street Best Books, IRA Teachers’ Choice, Minnesota Book Award Finalist, Riverby Award for Nature Books for Young Readers, and more), and BOOKSPEAK! POEMS ABOUT BOOKS (Minnesota Book Award, NCTE Notable, Bank Street Best Book, Eureka! Gold Medal, and more). She loves to introduce kids to poetry and help them find poems they can relate to, no matter what their age, mood, and personality. She has also written numerous nonfiction books. I’m thrilled to welcome you here, Laura…thank you so much for participating. I know everyone is excited to find out more about you! LAURA: I don’t remember the specific books I read when I was the age that most of my readers are now (1st-3rd grade). I inhaled books so quickly that they just flowed right through my life. And I definitely wasn’t aware of authors and illustrators until I was older–upper elementary or even junior high. I loved Lyle, Lyle Crocodile, some Raggedy Ann and Andy chapter books, Nancy Drew mysteries, riddle books, the John Bellairs suspense books, and some books about a brother and sister who traveled around the world and through time. But as the youngest of four kids, I just read whatever was in the house and on the library shelves. I was not a discriminating reader. I just wanted to devour books. As I hit upper elementary and junior high, I read lots of Judy Blume, Agatha Christie, and anything my mom said I wasn’t old enough to read! I had no favorite illustrators, though I think I’ve always been drawn to watercolor with thick black lines, and I still love that style today. 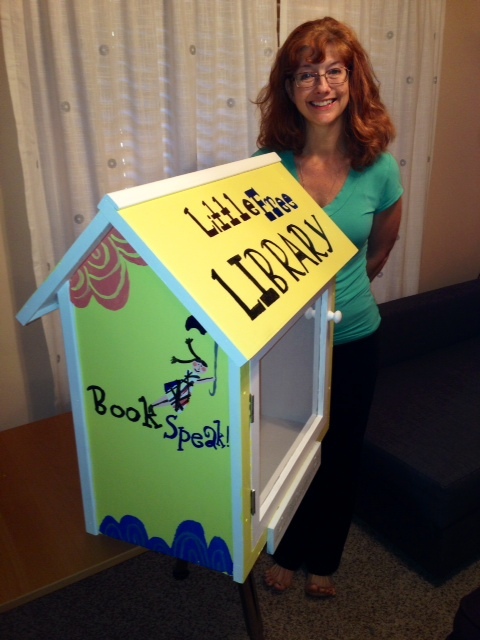 Laura has her own Little Free Library on her front lawn…how cool is that! 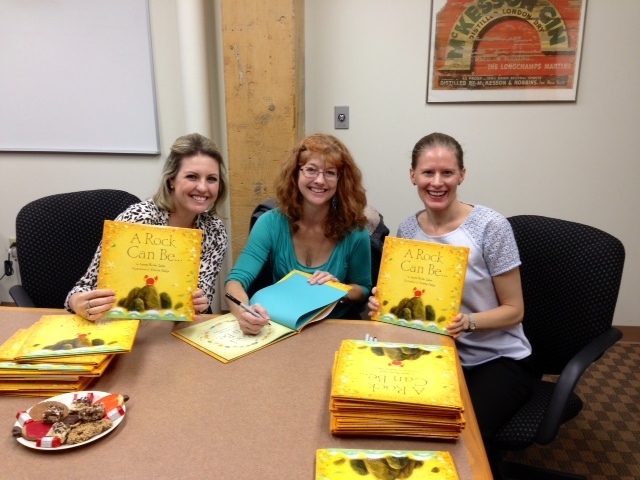 An exciting day of book signing for Laura’s newest picture book, A Rock Can Be…with Lindsay Matvick, Publicity and Trade Marketing Manager at Lerner Books and Carol Hinz, Editorial Director of Millbrook Press. LAURA: I mostly write on the computer. I don’t like to write by hand, except for (sometimes) short poems. I usually write sitting at the kitchen table, with the blinds open so I can see the leaves changing color, the squirrels zipping along the fence, and our beagle barking like a fool. But I also write in the car, in hotel rooms, on my iPhone, in coffee shops, on my voice recorder…you name it, I’ve done it. LAURA: I’m definitely at my writing best early in the morning. And I’m not a night owl. I can’t imagine writing in the middle of the night! I do a lot of different writing and speaking tasks, and I generally am working under deadlines. I work all day, every day, for the most part, from 5:45 a.m. to 4ish or so. But somewhere during the day I usually go to the gym and also take Captain Jack (our dog) for a quick walk. And I take a short lunch break, usually reading while I eat. I’m not a fan of waiting for the muse. I have more projects in mind than I’ll ever have time for! And my writing/speaking income is part of the budget, so I can’t sit back and hope for something lovely to come to me. LAURA: That’s a great question. Partly, it’s because I want to be part of that sea of books for kids who need them, kids who inhale them like I did when I was a kid. It’s also because I love brevity. I think so much can be said in a poem and a picture book, and I’ve fallen in love with the picture book art form (though I’m interested in early readers and chapter books, too). And, finally, because I think writing books for kids is one way we can change the world. We can share our cool, amazing, mysterious world and its people in ways that will hopefully help kids grow up to be curious, caring, adventurous, thoughtful adults. We can give kids possibilities through our books, and I think that’s a magical thing. Laura does a lot of school visits…lucky children!!! Thank you so very much, Laura…but we are not done yet! I know you have a fantastic recipe to share with everyone. Cover cookie sheet with foil and spray with Pam. Spread Saltines in single layer. On stove, melt butter and brown sugar. Bring to full boil and cook 3 minutes, stirring constantly. Remove and pour over crackers. Sprinkle chocolate chips on top and let sit (out of the oven) until melted. 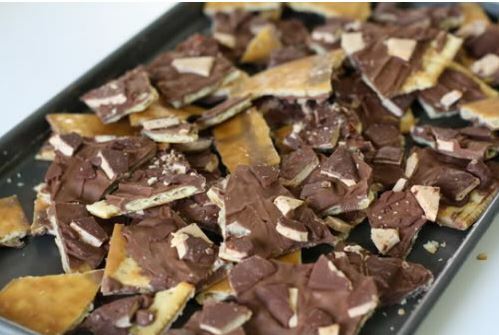 Spread out chocolate and spread with almonds (optional). Put it under lock and key if you have little willpower, like me. WOW! I agree with the lock and key idea. This recipe is now on my must-make-for-Thanksgiving list. 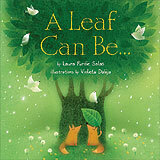 This entry was posted in Author/illustrator interviews, Author/illustrator recipes, Will Write for Cookies and tagged A Leaf Can Be, A Rock Can Be, Cheater's Brickle Recipe, Laura Purdie Salas, Water Can Be by viviankirkfield. Bookmark the permalink. 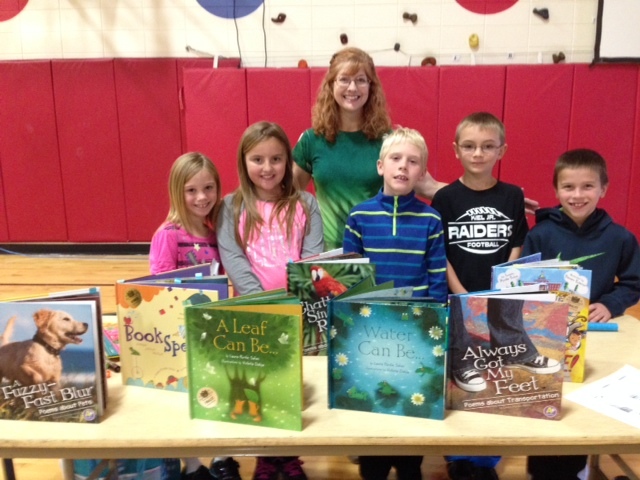 Yes- giving kids possibilities through books. That is a good thing! Nice interview, ladies! Terrific interview, Laura! I never thought of using Saltines in brittle. Will have to give the recipe a try. I got a batch at the holidays from a neighbor about 12 years ago. I thought she was crazy–until I ate them:>) Thanks for dropping by. I am a huge fan of Laura. My students love her blog and we write almost weekly to her 15 Words or Less prompt. A great resource for teachers! I can’t wait to meet her next week at NCTE. Great interview. I’m storing the recipe because I, too, like assembling rather than cooking. Hi Margret…so happy you popped in for the interview! Laura gives so much…and is a wonderful resource for teachers and parents, as well as for writers. Lucky you to be meeting her!!!!! The recipe sounds yummy and I’m gobbling up Laura’s poetry every day. Couldn’t resist the pun. Nice to see you here, Laura! Great interview, Vivian and Laura. Sounds like an easy recipe, right up my alley! So happy you enjoyed the interview, Tina! And congrats again on your WONDERFUL news! Exactly, Robyn. I’ve been wanting to do this or some other way to spread book love locally, so this is perfect. I’m sure you’ll find something good to do! Wow! Ms Salas is one busy lady! Doing great things! Thanks for the insightful interview! Thank you for the terrific interview, Vivian and Laura! Oh to be at one of Laura’s school visits–I bet the kids love her. AND she assembles a mean brickle too?!!! Yup, Michelle…she’s pretty awesome. 🙂 I hope you get a chance to try the brickle…glad you enjoyed the post. Thanks, Michelle–the kids and I do get kind of silly at school visits:>) And the brickle is soooo tasty–very easy! Hi Laura, I just dropped by for the cookies…. and then stayed to read. I can’t wait to see your next book. Oh, Sue, you are too funny! Although the sweet treat is a great draw, that’s for sure. 😉 Glad you stopped by! Hehe–I’m honored, Sue! A ROCK CAN BE… was so fun to see–Violeta’s art is stunning. It doesn’t come out until March of 2015, though:>( Thanks for staying to read. Excellent and practical interview. I love Laura’s honesty about writing. She’s a giving author and her blog is one of my faves! And the cookies sound all kinds of awesome! My mouth is watering! So happy you enjoyed the interview…now you have to make the brickle so you can enjoy that also. 😉 It’s good to see you here, Penny…thanks so much for coming by! THANK you, Penny–With all the amazing blogs out there, that is just the kindest thing to say. Give the brickle a try. Too delicious! Laura, I so admire how you stick to your work schedule. As freelancers, our time is so fractured between this project and that project, that it becomes difficult (at least for me) to be as productive as I want to be. Leaving the computer at 4ish would be a dream! I think we’ve spoken about this before … I will use your example as inspiration! I had to giggle at this, Renee, since it’s 8:30 p.m. and I’m still working :>( But that’s mostly because I have a boatload of work to get done before I leave for NCTE Thursday morning. I hear you on the fractured time, though. I feel pulled in a million different directions every time I sit down. Wouldn’t it be nice not to have to earn an income? :>) And thank you on ROCK. I can’t wait for it to come out! I love these posts for both the words (wisdom) and the recipes. Thanks Laura and Vivian. Thanks, Stacy, for coming by. Vivian is definitely a lovely host–such love and enthusiasm for books and writing and creativity! THanks, Jessica–your poetry is lovely! And this recipe is super easy and delicious. Give it a try! Hi Laura! Thanks for sharing your world with us. I’ve always wondered what it would be like to write full-time. You are right about not waiting for your muse to speak. I think that is a fabulous tip! Just write! It was fun to be here, Romelle. Writing full-time is so much LESS writing than I ever imagined. But it’s still better than anything else I can think of:>) Good luck with your writing, wherever it takes you! Laura is such a kind, hardworking soul. She gives practical advice on her experiences in children’s poetry and doesn’t sugarcoat what a long, hard slog it is. I admire her, and she motivates me weekly. SALAS POWER! You are so right, Charles! 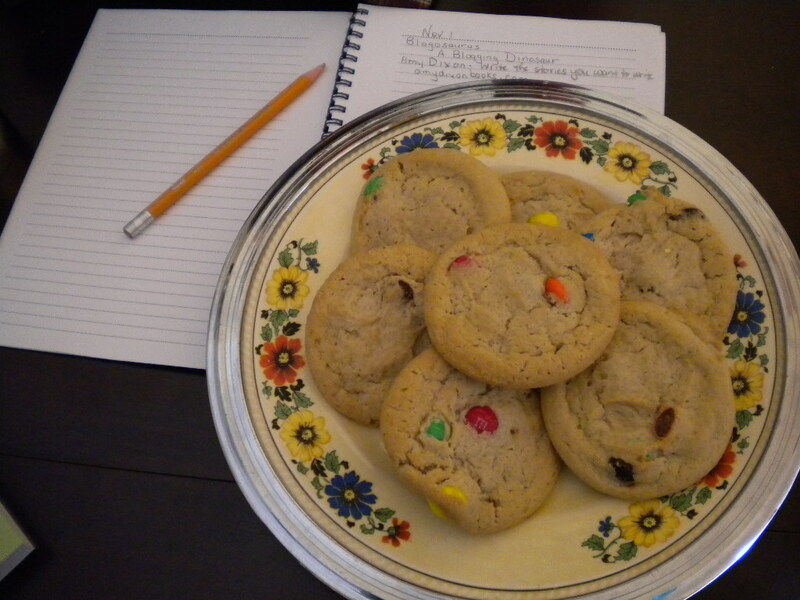 I was thrilled when Laura agreed to participate in Will Write for Cookies. 🙂 Thanks so much for stopping by. Hope you enjoyed the interview. Aw, thanks, Charles. I was JUST using you as an example of someone who did an amazing job of connecting online, sharing great examples of your own work, building real relationships within a particular niche, and then building on those relationships and connections to start publishing in your specialty area! You are a great motivator, too! They ARE–give them a try:>) Thanks for stopping by!